Eating is my second favorite thing to do in a new country after roaming the streets and taking photos. Malta was no exception. Here’s various restaurants we ate at around the islands based on family/friend recommendations and TripAdvisor rankings and reviews. We wanted somewhere within walking distance of our apartment to eat on our first night in Malta. 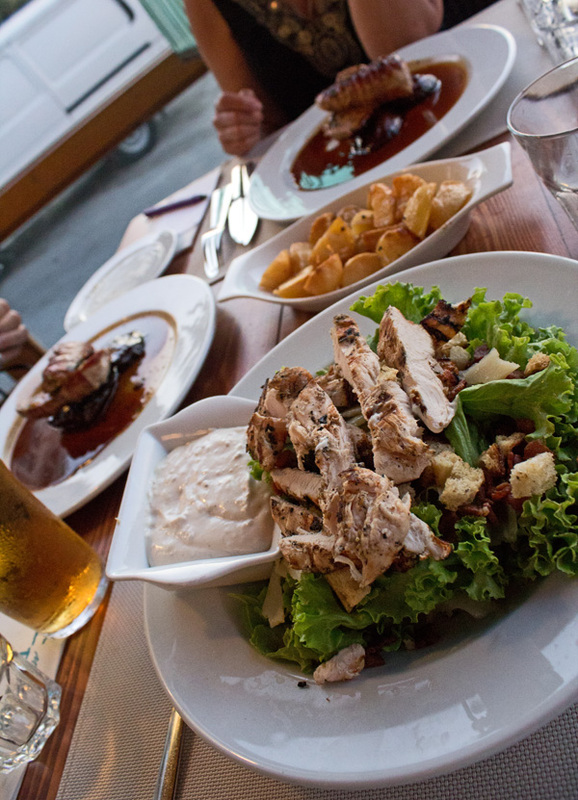 After checking out TripAdvisor, Fresco’s was ranked #14 of 150 restaurants in Sliema, offered a diverse and varied menu, and provided stunning views of St. Julians Bay. Fresco’s offers both indoor and outdoor seating options, with the later providing a choice between open-air terrace seating, and seating under umbrellas to the right of the restaurant . We couldn’t pass up the outdoor terrace views though – it really was spectacular at sunset. What we ate – we started with the trio of dips which came with mini galletti, grissini breadsticks and focaccia slices. The dips consisted of humus, tuna and bigilla. The humus was delish! We shared this amongst three people, but it could have easily been shared between five – it was extremely filling and a great deal at only €9.75. For our main course, mum and dad both went with the Pork Fillet – a fillet of pork wrapped in bacon and rosemary, served over a bed of mushrooms with roast potatoes. I opted for a lighter option – the Caesar salad with grilled chicken. The food was delicious and given the location of this place, the bill was surprisingly cheap! 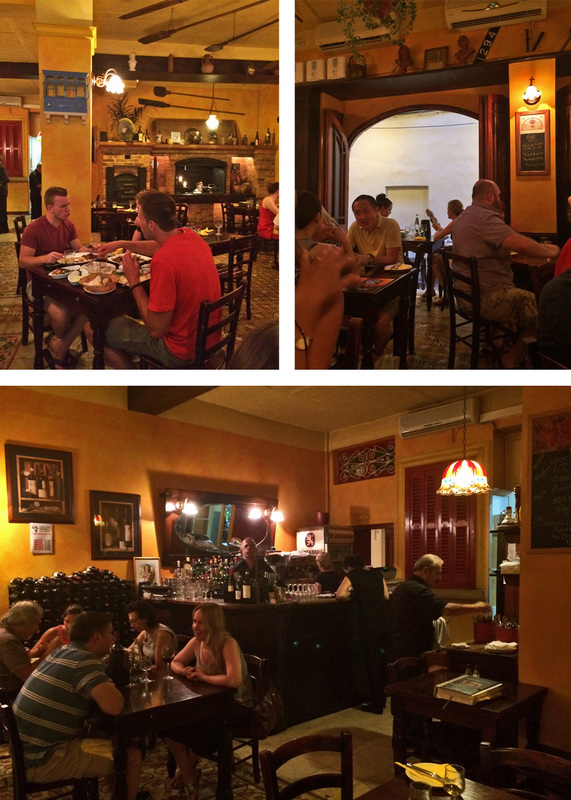 A true hidden gem amongst the tourist-centric hustle and bustle of Sliema. 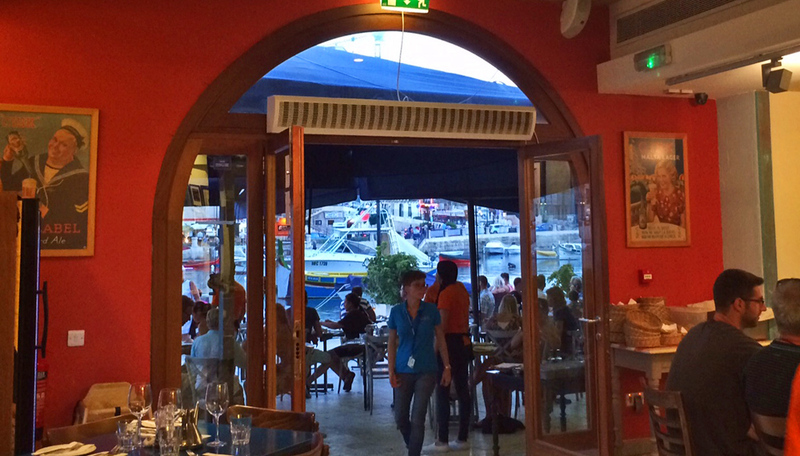 We found this place using TripAdvisor – it’s ranked #10 of 151 restaurants in Sliema, and with 1,000+ reviews all the while maintain a 4 star rating, we just had to see what all the fuss was about. Situated in an almost hidden laneway and up a set of stairs, Ta’ Kris is located inside one of the oldest and largest bakeries in Sliema. The old features of the bakery have been kept and the dark, Maltese furnishings and warm-shaded walls add to the charm of this quaint bistro. 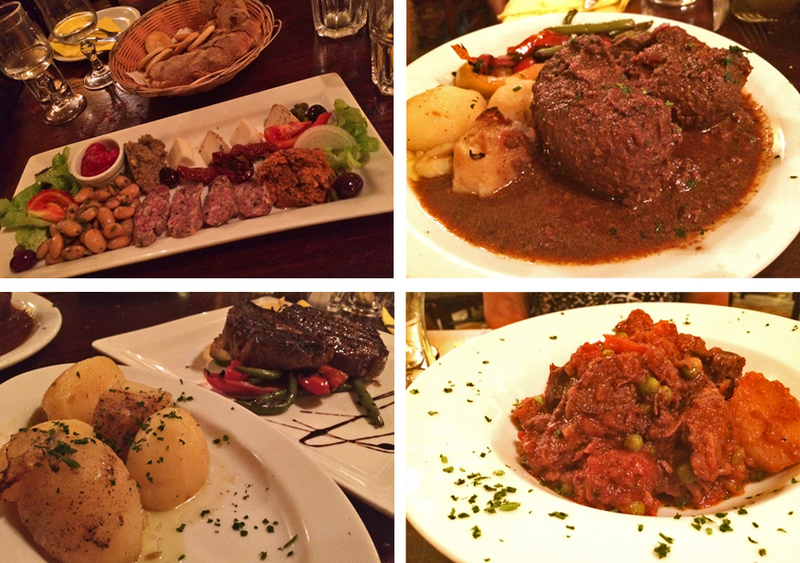 The menu here is based on a mixture of traditional Maltese cuisine blended with some Mediterranean dishes. The inside of this place is absolutely charming. What we ate: We started with the Maltese Platter – this consisted of Maltese sausage, sundried tomatoes, gbejna, fazola, conserva, capers, olives, two dips (bigilla and arjoli), and a basket of freshly baked bread and galletti. For my main dish, I went with a medium-rare ribeye (served with Maltese baked potatoes and grilled vegetables), mum had the thick home-made beef stew, and dad went with Dad’s Famous Bragioli. The servings are quite large and are great value for money. Everything about this entire meal was perfection – the food could not be faulted and was absolutely scrumptious. If you’re by the Sliema waterfront, avoid all the ocean-facing restaurants amongst the main strip and find your way over to this little piece of heaven. 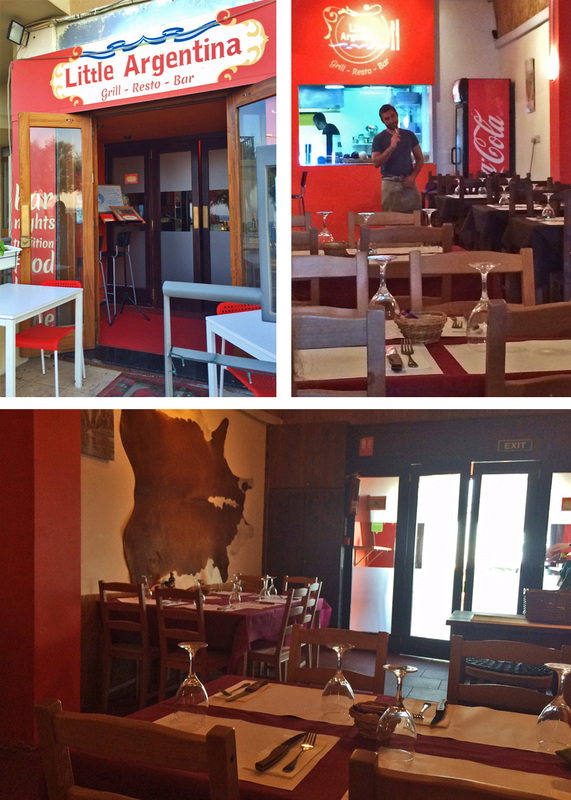 Ranked #3 of 151 restaurants in Sliema on TripAdvisor, this Argentinian delight was only a short walk from our apartment. The reviews were all quite positive so we decided to give it a shot for dinner and it did not disappoint. The inside of the restaurant is very simple, relaxing and cute. The service was great – our server was a young Spaniard fella, so nice and all smiles, plus he was cute, too! We were the only ones in the restaurant to begin with (it was a Monday evening, after all), but it started to fill up as we were finishing our meals. 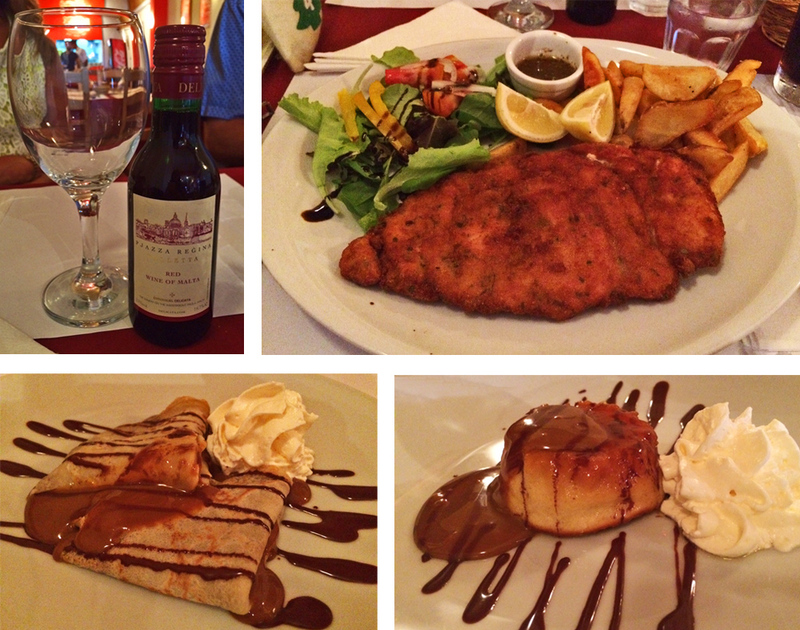 What we ate: I was torn between a cut of beef or the Chicken Milanesa. When our server came around, I decided to go with the chicken. For a brief minute, I had order regret (as the reviews for this place rank it as having some of the best steaks in Malta), but after taking the first bite of my Chicken, all regret was forgotten. I’m not sure what was in the crumbed coating, but it was absolutely delicious! The dish is served with fries or wedges, a side salad, and chimichurri which complimented my wedges perfectly. I skipped dessert but mum ordered the Dulce de Leche Crepes and dad went with the Caramel Bread Pudding. I pinched a slice of mums crepes – they were doused in Dulce de Leche, chocolate syrup and whipped cream – so scrumptious but a little too sweet for my liking. Definitely worth checking out if you’re starting to tire of all the pizza and Maltese food in the surrounding area! 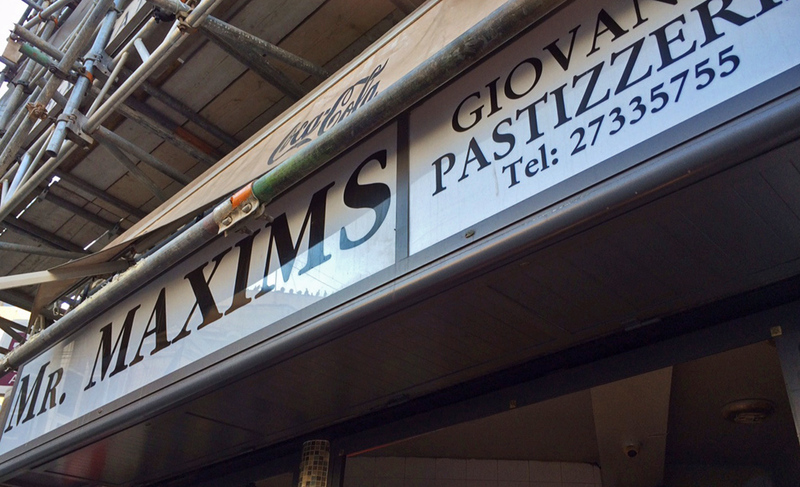 While TripAdvisor says there is a Mr. Maxims along Triq Ix-Xatt in Sliema, after much Google mapping, the only one I could find any proof of was on the corner of Triq San Gorg and Triq Ross in St. Julians – right up the road from Spinola Bay and down the road from the Hilton. If you’re after a quick, cheap and easy grab-and-go meal, then this is the place to be. For only €9, we had a dinner feast amongst three adults; this got us five rikotta pastizzi, one sausage roll, three pizzelli qassatat and three bottles of soda. Individual pricing for a pastizzi is €0.30, and for a qassatat, €0.80. The ricotta pastizzi was on point, fresh, crispy and flakey, YUM! The sausage roll was quite good, too. They also have pizza slices available, and although I didn’t have one, the TripAdvisor reviews speak very highly of them. Mr. Maxims is only a tiny street stall, so there is no where to sit and eat. There is however, a cute little park across the road with plenty of seating available – we took our dinner and ate it there. Since my family is of Maltese heritage, I’ve been brought always having Maltese food in my life. I was an extremely picky eater before I left home and moved to the U.S. though, and since then, I have been open to trying and enjoying a more varied diet, especially when traveling. 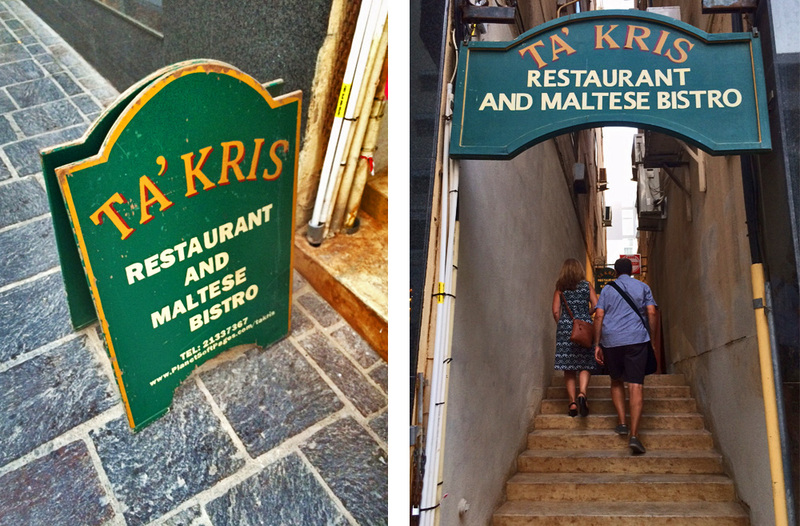 Because of this, I was really excited about trying out a restaurant that offered a traditional, Maltese menu. Ranked #68 of 240 restaurants in St. Julians on Trip Advisor, and maintaining a 4-star rating even after 1,000+ reviews, Gululu’s did not disappoint. 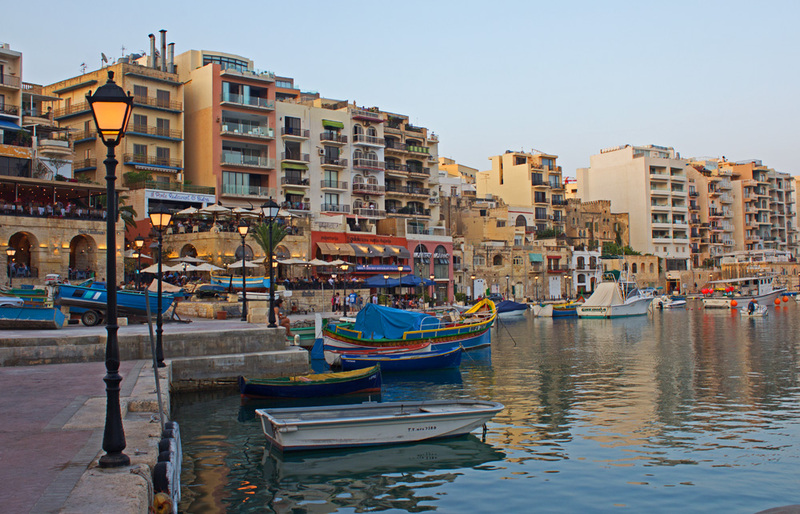 Located on the adorable Spinola Bay waterfront, Gululu’s is every bit as charming as it looks! While the menu offers a number of main dishes, I decided to go with the tapas option as I wanted to sample a number of Maltese dishes. 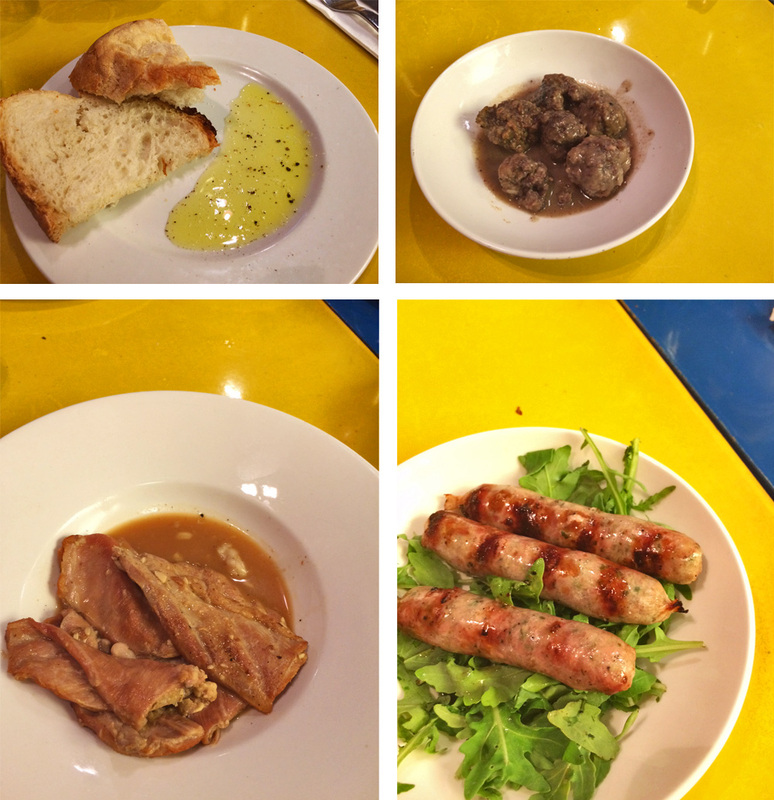 What I ate: Pulpetti tal-Laħam (meat balls in red wine, onion and thyme gravy), Zaqq tal-fenek (pan-fried rabbit breast in gravy), and Zalzett Mixwi (traditional, grilled Maltese pork sausage). Dad went with the main serving of rabbit ravioli which he enjoyed, and mum was absolutely crazy in love with her main dish of Fenek Stuffat – rabbit fried with garlic, braised in white wine, bay leaf, and rosemary and served with vegetables and baked potato slices. My tapas selections made my tummy SO happy – definitely a delicious meal at a restaurant I highly recommend if you’re after traditional Maltese food. 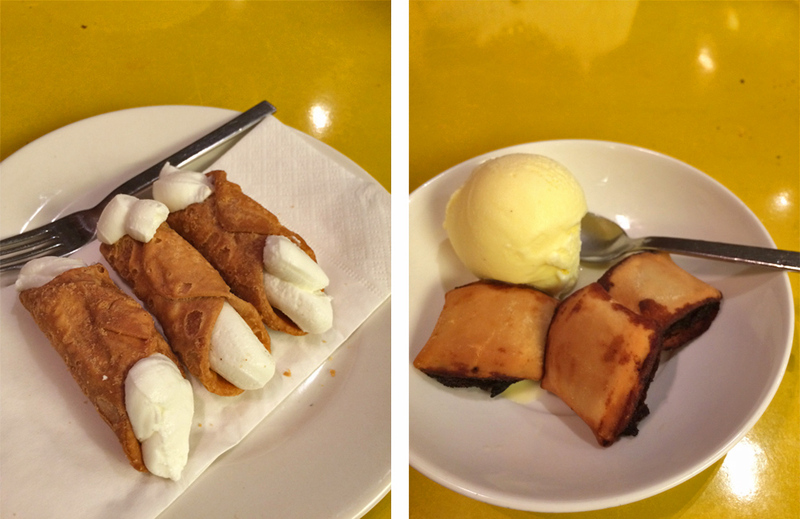 For desert we also shared a serving of ricotta cannoli and Mqaret bil-Gelat (fried date fritters with vanilla ice cream) which were quite yummy! 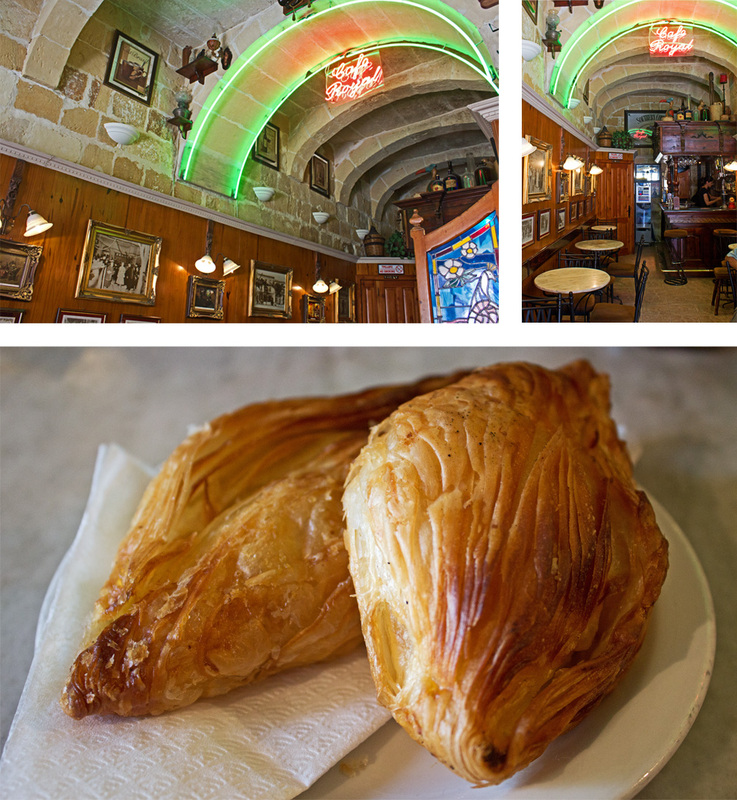 According to both the Internet and word of mouth recommendations, Crystal Palace is arguably home to the best pastizzi in all of Malta. Ranked #9 of 47 restaurants in Rabat on TripAdvisor, we had to make the walk over to Rabat while in Mdina to see what all the fuss was about. Opening daily at 4am and closing for only two hours a day, the Crystal Palace will definitely provide you with an authentic, Maltese experience without the overbearing tourists. It’s a very small and simple shop with limited seating. The few tables and chairs seemed to be occupied by many male locals who were extremely friendly and willing to chat with us. 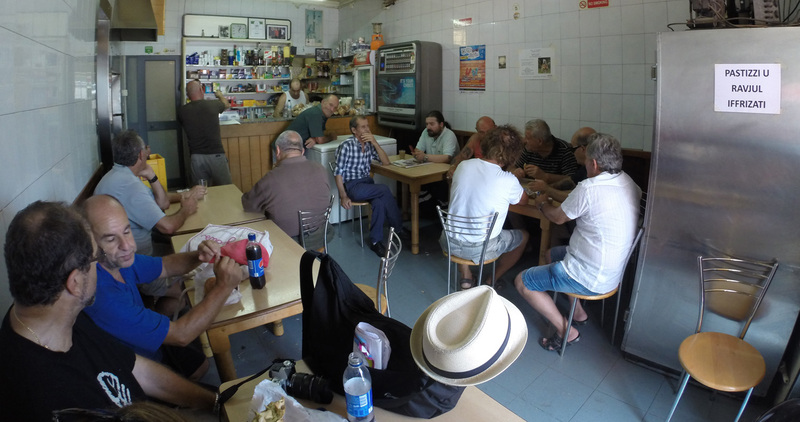 We stopped in for lunch and grabbed six rikotta pastizzi, one pizelli pastizz, and one pizelli qassatat along with two bottles of water; all this came to only €4.80 – what a bargain!!! A pastizz cost €0.30 and a qassatat, €0.80. My rikotta pastizzi were delicious; piping hot, fresh, flakey and a little bit burnt, just the way I like them. Definitely worth a visit, even if you are staying on the other side of the island! 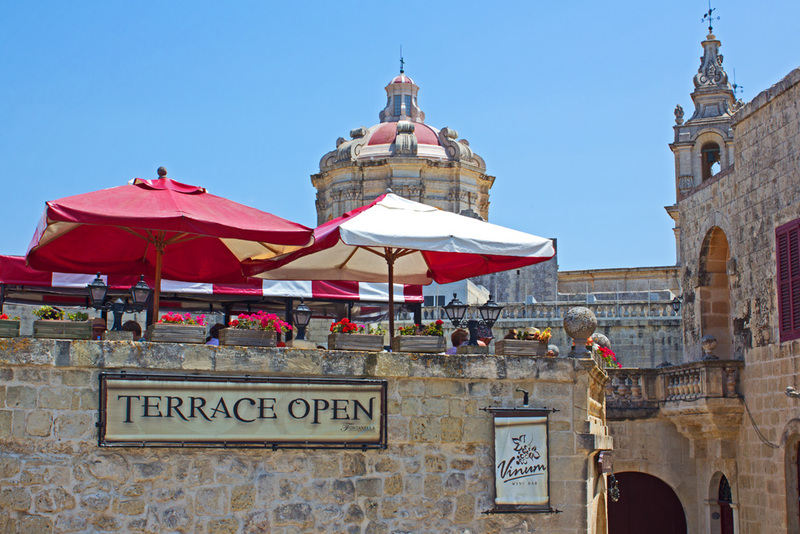 If you’re after breathtaking views of Malta over lunch or dinner, then the Fontanella rooftop is the place for you. 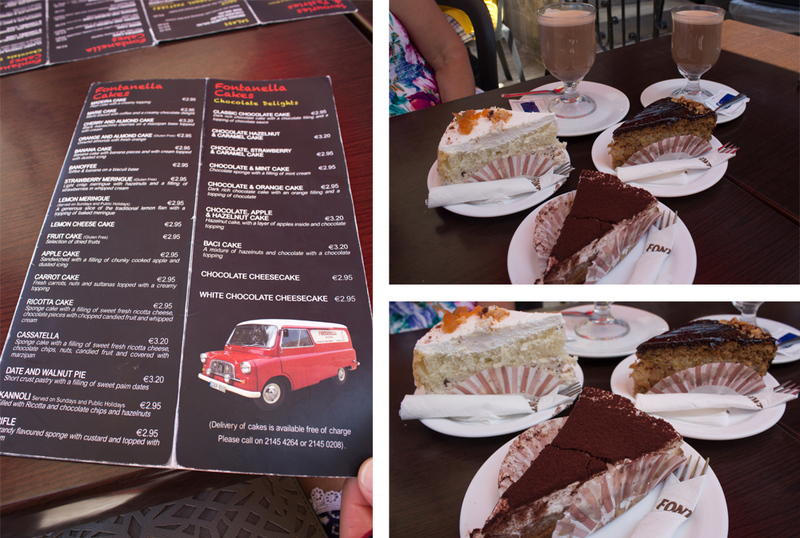 While the menu offers a full array of meals to choose from, we settled on their amazing cake menu instead. Cake options are plentiful and range from a traditional Maltese Ricotta Cake right through to the very popular Strawberry Meringue. Mum went with the Ricotta Cake (because oddly enough, Kannoli are only served on Sundays here), dad went with the Chocolate, Apple and Hazelnut cake, and I couldn’t resist a slice of the Banoffee – it was delicious! Located on a beautiful piazza in Victoria overlooking the It-Tokk market area, Cafe Royal has a distinct, old-school charm to it. The dark, wooden-panelled cafe gives off a cosy feel and the old pictures and nic-nacs hanging all over the walls depict the cafes age. 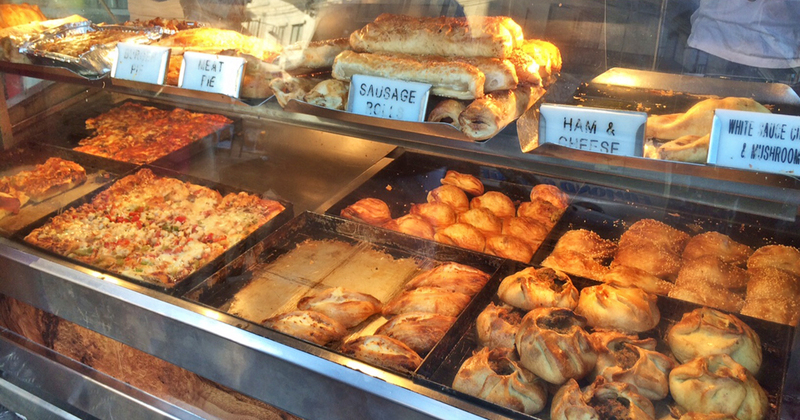 If you’re after a quick snack at a central location and for a great value, then pop into Cafe Royal and have some pastizzi. They were some of the biggest pastizzi I’ve had in Malta yet – crisp and flakey, yum! I really excited your post and i like this recipes.